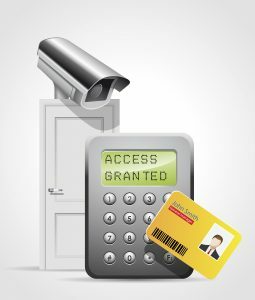 Securing your access control systems is easier than you think! An access control system that is inflexible, extremely hard to manage, and lagging in updates is not a secure one. In fact, investing in open cloud-based systems can alleviate many of the problems most businesses face with their current access control systems. While technology has significantly brought in a lot of new systems such as cloud technologies, moving towards a full cloud system is a tedious process. In fact, the security industry has taken their time with moving towards cloud systems. The biggest worry that the security industry faces is ensuring that all information that is stored in the cloud is secure. However, large companies have been trailblazing in this field. For instance, Microsoft and Amazon are starting to build large cloud storage systems to protect all their data and systems operations. A significant benefit towards moving to a cloud system is that there are upgrades that come out regularly. In fact, when systems require an upgrade, there are always new capabilities and various features that are integrated into the technology to improve it. With open cloud-based systems, the storage capabilities are extremely flexible. In fact, these cloud-based access control systems give businesses an immense freedom to determine the exact need and specific use of their systems. As a result, these systems are customized to fit the customer and leave them with a unique product that can benefit their entire business. Even more than cloud-based access control systems, some are moving towards wireless systems for their data. In fact, these wireless systems have become increasing popular within the security industry. However, there is still much debate over how secure a wireless system really is, just like the cloud system debate. In the end, it all comes down to the specific needs of customers and the best ways to secure their data and important information. This entry was posted on Thursday, March 23rd, 2017 at 9:07 am. Both comments and pings are currently closed.